You have my deepest condolences. I love the birds, and know how attached one can become to members of the hollow-boned set. A candle has been lit. I shall raise a bottle of ale in the memory of this badass bird, though I only met her once. My sympathies, Lexica. This is an unhappy event. I'm sorry for your loss. 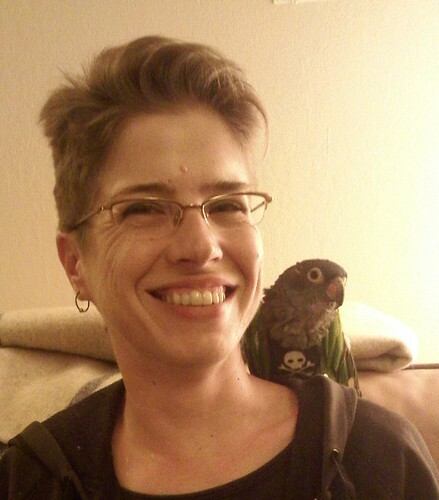 I only ever had birds as pets, and I know the bond very well. Please know I'm thinking of you and sending lots of love. O, Lexica! My condolences. You've lost your friend. Adieu, Buckminster T. Bird! I'm so sorry. I remember Bucky well.